It's Cruise Ship Saturday! 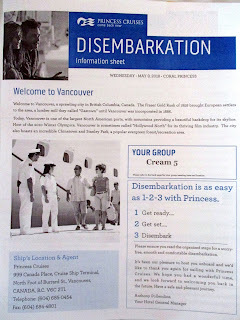 Today we're talking about disembarkation. The morning you leave the ship - disembark - can be hectic. It's not like just checking out of a hotel room so remember to read the paperwork delivered to your cabin beforehand. It tells you everything you need to know. Here is a sample of the info-packed paperwork from a recent cruise. The link in Google docs can be found HERE. Pack your patience along with your carry-on. Keep medications and documentation with you. Remove items from the safe. Be out of the cabin when requested. Enjoy the last of the cruise ship meals. Wait in a nice location before going to the assigned lounge. Have your cruise card ready for scanning. Collect your luggage in the terminal. Have passports ready for customs. Be on time for arranged transportation and allow plenty of time to get to the airport. 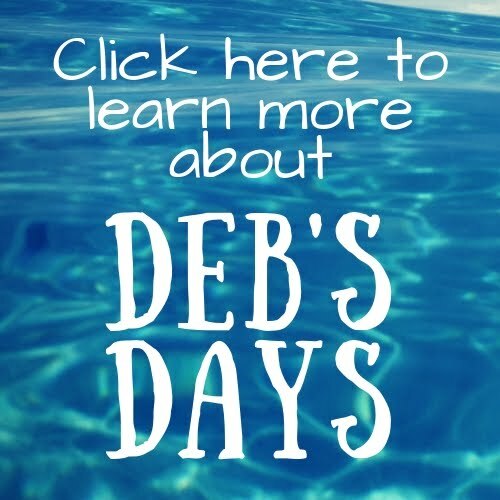 And then start planning for your next cruise!